A Tory election promise to “dismantle” the work capability assessment (WCA) through new legislation appears to have been abandoned, with the Queen’s speech containing no mention of any new social security bill. The speech contains brief details of all planned legislation over the next two years – rather than the usual 12 months – so the absence of a social security bill suggests work and pensions ministers have abandoned planned reforms to the much-criticised “fitness for work” test. The minister for disabled people, Penny Mordaunt, told a national disability hustings event a few days before the general election that a Conservative government would “legislate to reform the work capability assessment”, which “treats people like they are part of a sausage factory”. Both Labour and the Liberal Democrats promised in their general election manifestos to scrap the WCA. 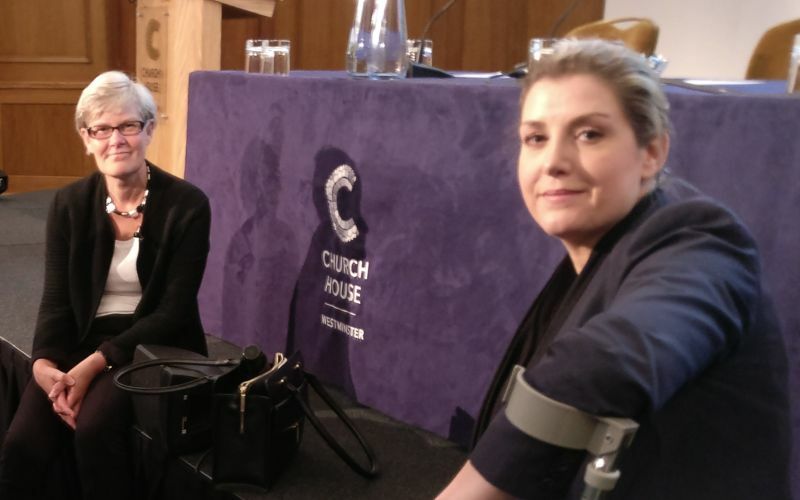 Disability News Service (DNS) tried repeatedly after Mordaunt’s comments to confirm what she meant by the promise to “dismantle” the WCA, as there was no mention of scrapping the assessment in her party’s manifesto. The manifesto did promise that a Conservative government would “legislate to give unemployed disabled claimants or those with a health condition personalised and tailored employment support”. He directed DNS to the Number 10 press office, which had not commented by noon today (Thursday). Ministers are expected to respond in the next few months to the consultation on its controversial work, health and disability green paper, which was published last October. It is not yet clear how the absence of new legislation will affect proposals laid out in the green paper, which include a suggestion that all people on out-of-work disability benefits – even those who are terminally-ill or have the very highest support needs – could in future have to stay in regular touch with their local jobcentre or risk having their benefits sanctioned.